Designed for the backpacker traveling around the world or worker commuting to the office, the Rotaball Backpack Strap with Rotaball Connector from Sun Sniper secures your camera to a backpack. Two carabiners at each end of the strap easily hook onto your backpack straps enabling you to always be ready for a quick shot without the fuss of digging around in your backpack for your camera. 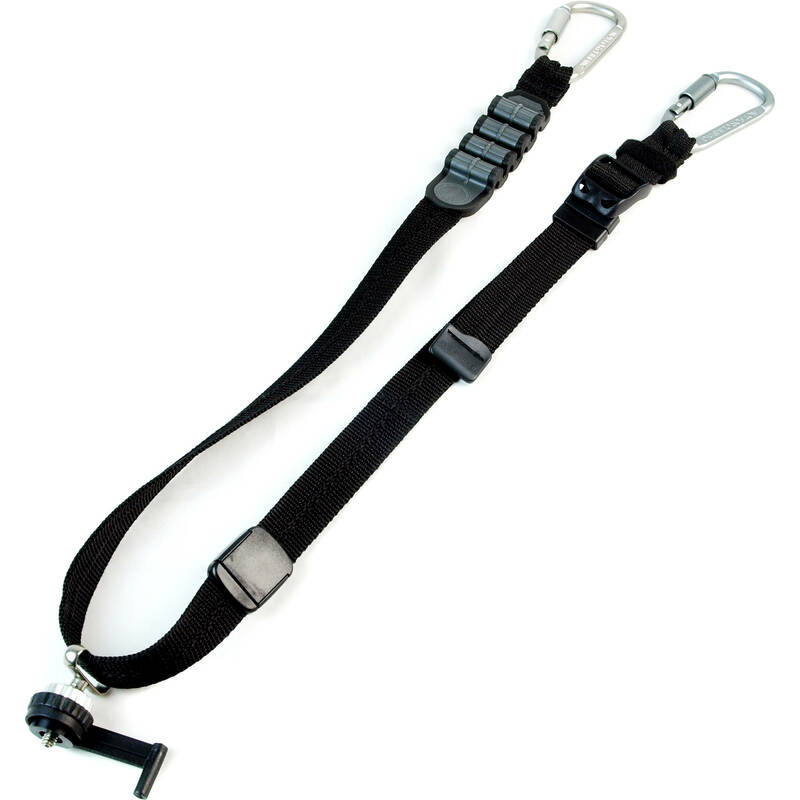 A steel cable is woven into the strap for added strength holding cameras up to 5kg. The Rotaball connector attaches to your camera's tripod socket for even easier handling and shooting. Box Dimensions (LxWxH) 7.7 x 3.0 x 1.7"